Here's a weird thing. 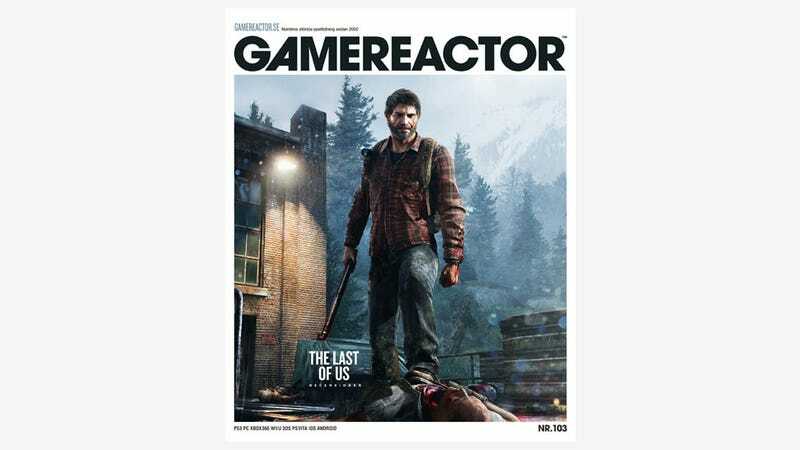 The cover of the latest issue of Scandinavian mag GameReactor features, as many covers will this month, The Last Of Us. What's different about this one, though, is that it's caught the attention of developers Naughty Dog, as the image has been altered from its original form. The piece, by Naughty Dog artist Maciej Kuciara, appears on GameReactor's cover with hero Joel front and centre. But as the game's creative director Neil Druckman pointed out on Twitter earlier this week, that's not how the image appeared when it was sent to the magazine. What could have ca-Joeled them into Ellie-minating the game's other star off the cover (Oh god I'm sorry...)? While many were happy to fling allegations of sexism at the magazine, and others took the opportunity to have a little fun at the mag's expense as a result, GameReactor's Petters Hegevall has a far more logical explanation, saying the decision was an aesthetic one, based both on the fact Ellie's "layer" in the image file was of a lower resolution than the rest of the image, and that by removing her the cover not only looked better, but gave them the perfect spot for a headline. Why am I posting this now? I think it's fascinating that we live in a world where design decisions on the cover of a video game magazine can become something. I also wanted to see if anyone who cared enough about the initial exchanges earlier in the week cared to take a look at the original image, since the team at Naughty Dog were kind enough to send it over for comparison's sake. You can see the image as Kuciara (who we've featured here previously) originally penned it, complete with co-star Ellie, below.